MPG-o-Matic 2010 Nissan Murano Review Summary: Nissan bills the 2010 Nissan Murano as “the Premium Crafted Crossover” with the goal of nibbling away at the sales of more expensive luxury competitors. This roomy and comfortable five-passenger crossover is chock full of amenities and style. A curvaceous design, a smooth ride, and plenty of interior space have earned the Murano a space in many a driveway. The 2010 Nissan Murano is available in both front-wheel (FWD) and all-wheel-drive (AWD). All Muranos are equipped with a DOHC 3.5-liter 24-valve V6 engine, mated to a Xtronic CVT (Continuously Variable Transmission). The V6 produces 265 horsepower (HP) and 248 foot pounds of torque. The official fuel economy estimates for the 2010 Nissan Murano are 18 city / 23 highway miles per gallon in both front-wheel- and all-wheel-drive version. We traveled more than 300 miles in our Tinted Bronze Murano SL AWD review unit and beat the official mileage estimates on the open road, achieving an average of 26.6 MPG on the Interstate highway and 20.3 MPG combined, with temperatures ranging from the mid-sixties through the high-eighties. Interstate highway testing temperatures were in the high seventies. The test vehicle was delivered with approximately 8600 miles on the odometer. S and SL models are equipped with 18-inch alloy wheels and 235/65 R18 all-season tires, while the top-of-the-line LE model is fitted with 20-inch alloys and 235/55 R20 all-season tires. Although the Murano’s V6 provides sufficient grunt off the line, purists may take issue with the CVT’s pitch. Highway driving range is good. All 2010 Nissan Muranos are fitted with a 21.7 gallon fuel tank and run 87 octane regular unleaded fuel. The Murano is equipped with four-wheel ABS disc brakes (12.6-inch ventilated front rotors / 12.1-inch ventilated rear rotors), regardless of trim level or drivetrain. All models use Nissan’s Active Brake Limited Slip (ABLS) technology, with 2-wheel ABLS in the FWD models and 4-wheel ABLS in the AWD models. Average fuel economy and real-time fuel economy displays are standard. The optional 7-inch LCD information center provides additional feedback, including historical fuel-efficiency charts. We always recommend using a real-time MPG display to enable the adoption of a fuel-efficient light-footed driving style. The Murano is one of the best-handling Crossovers on the market, with a smooth and comfortable ride. But you’ll do well to limit your all-wheel-drive adventures. A car-like ride does have its limitations. The cabin is a well-designed home away from home, with the requisite leather-wrapped steering wheel providing integrated controls. Optional Bluetooth integration can download phonebook information directly from a cell phone. The Murano’s driver’s seat features eight-way power adjustment. The Leather option package includes two-way power driver lumbar support (manual lumbar support is standard), and two-level heated front bucket seats, along with four-way power adjustment for the front passenger seat. Hands-free Bluetooth support is included with the Technology option package, along with a power liftgate, automatic on/off bi-functional Xenon headlights, rain-sensing wipers, and heated outside mirrors. Our review unit was also equipped with the Premium option package, which includes a 7-inch LCD display with rearview monitor to ease backing chores, along with a nine-speaker Bose Audio system (which includes a dual-speaker subwoofer), XM radio, and relocated auxiliary audio input ports. Our tester was not equipped with the optional USB iPod input port. The Murano has three twelve-volt outlets: one at the base of the dash, one inside the center console, and one in the cargo area. We found the Murano’s back seat to be comfortable and spacious; there are 38.1 inches of rear seat headroom with the moonroof and 39.4 without. Opening the optional power liftgate reveals 31.6 cubic feet of cargo area with the 60/40 rear seats up and 64 cubic feet of cargo area with the rear seats folded down. Lowering and raising the rear seats is a snap. The cargo area’s underfloor storage compartment is divided into four convenient rows. All-in-all, the surprisingly luxurious 2010 Nissan Murano delivers plenty of comfort and convenience to haul the family around in style. 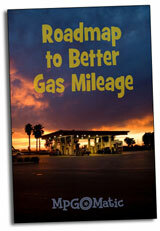 While we’d like to see better mileage, it might be just around the corner. Nissan has announced a significantly more fuel-efficient clean-diesel option for the European 2011 Murano. We can only hope that the thrifty diesel Murano finds its way here to America in coming model years. Do you really think that we could see a diesel powered Murano in North America? I find it surprising that we don’t see more diesels on this side of the pond, with the Audi and VW TDIs being notable exceptions to this rule. I have my doubts about a Diesel Murano in the U.S. I’d sooner expect to see a hybrid Murano before a diesel, though maybe the coming plug-ins will reduce the public’s interest in traditional hybrids. The BP spill on the other hand doesn’t bode well for gas power in the long-term. Do you know whether new diesel cars take both biodiesel and petrodiesel? I remain bullish on diesel’s potential. There are too many reasons why the technology makes sense right now and well into the future. As to whether Nissan decides to bring diesel vehicles to North America, it’s hard to say. Mazda will be the next manufacturer – and the first from across the Pacific – to bring diesel-engined vehicles our way. The new clean diesels are currently limited to the lower biodiesel blends. Volkswagen, for example has a B5 limit. The new heavy-duty clean diesel pickups from Ford, Dodge, and Chevy should be able to run B20. Diesel fuel derived from algae will be the big game changer, enabling domestic and localized production of fuel that actually removes carbon from the atmosphere, while expanding employment opportunities.